NEW YORK – With the 2018 college football season right around the corner, FOX Sports today announces its loaded lineup of announcers, analysts, hosts and reporters covering the network’s best fall schedule to date. Featuring the return of some of the top voices in the sport and the addition of former Oklahoma and NFL star running back DeMarco Murray, today’s announcement was made by FOX Sports President, Production and Executive Producer John Entz. The most exciting play-by-play announcer in sports, Gus Johnson teams with Joel Klatt, one of college football’s most knowledgeable and respected analysts, for the fourth consecutive year as FOX Sports’ lead college football game broadcasters. For the second year in a row, the pair are joined by reporter Jenny Taft, fresh off assignment covering the 2018 FIFA World Cup™ in Russia and the newly appointed moderator on FS1’s SKIP & SHANNON: UNDISPUTED. Johnson, Klatt and Taft pull double duty to open the 2018 campaign, beginning Thursday, Aug. 30, with Missouri State at Oklahoma State at 7:30 PM ET on FS1. On Saturday, Sept. 1, Kyler Murray looks to fill the void left by Heisman Trophy winner Baker Mayfield, as No. 7 Oklahoma welcomes Lane Kiffin’s FAU squad with coverage beginning at 11:30 AM ET on the FOX broadcast network. Also returning to the FOX Sports college football booth are Joe Davis, Brady Quinn and Bruce Feldman; Tim Brando, Spencer Tillman and Holly Sonders; Brian Custer and Ben Leber; and Justin Kutcher and Petros Papadakis, joined this season by broadcasting rookie DeMarco Murray. Former Ohio State and NFL linebacker James Laurinaitis also joins FOX Sports to call select games during the 2018 season, working alongside a rotation of play-by-play announcers. In studio, host Rob Stone is joined by Heisman Trophy winning USC quarterback and College Football Hall of Famer Matt Leinart, All-Big Ten running back at Ohio State Robert Smith, and NCAA and Super Bowl champion coach Dave Wannstedt. Stone, Leinart, Smith and Wannstedt present pregame, halftime, bridge and postgame shows from FOX Sports’ Los Angeles studios, with select appearances on the road, each week. Rules experts Dean Blandino and Mike Pereira weigh in during studio and game coverage. One of the nation’s fastest-rising play-by-play announcers, Davis once again works alongside Quinn, a record-setting Notre Dame quarterback, and Feldman, one of the game’s top insiders. Davis, Quinn and Feldman open the season on Saturday, Sept. 1, with a rematch of one of last season’s most exciting opening week games, as No. 23 Texas faces Maryland at FedEx Field in Landover, Md. Coverage begins at 11:30 AM ET on FS1. College football broadcasting veterans Brando and Tillman return to the booth with Sonders, also a fixture on FOX Sports’ USGA coverage and a former collegiate golfer at Michigan State. The trio begin the 2018 campaign on Saturday, Sept. 1, in Lincoln, Neb., as Scott Frost returns to coach his alma mater when the Huskers welcome Terry Bowden’s Akron Zips at 8:00 PM ET on the FOX broadcast network. Leber and Custer return to FOX Sports’ college football booth for the second year in a row and open their season with a matchup of Power 5 opponents as Cal hosts North Carolina on Saturday, Sept. 1, at 4:00 PM ET on FOX. Making his broadcasting debut, Murray, a recently retired NFL standout who holds multiple records as an Oklahoma Sooner, joins Kutcher and Papadakis in the booth for San Diego State at No. 13 Stanford on Friday, Aug. 31. Coverage begins on FS1 at 8:00 PM ET with an hour-long edition FS1 COLLEGE FOOTBALL PREGAME. The following evening, Laurinaitis teams with veteran play-by-play announcer Chris Myers for the dawn of the Herm Edwards era at Arizona State as the Sun Devils host UTSA on Saturday, Sept. 1, at 10:30 PM ET on FS1. FOX Sports’ coverage of the 2018 college football season officially begins with the FOX COLLEGE FOOTBALL KICKOFF preview show on Sunday, Aug. 26, at 3:00 PM ET, prior to the Bengals at Bills preseason NFL game, on the FOX broadcast network. Stone, Leinart, Smith, Wannstedt and Klatt break down the biggest storylines headed into the fall and offer their predictions for the upcoming campaign. The one-hour special also re-airs that night at 11:30 PM ET on FS1. In 2018, FOX Sports televises an impressive lineup of top games from the Big 12, Big Ten and Pac-12 conferences. FOX Sports is home to some of the most anticipated matchups of the season, including USC at Stanford, Michigan at Ohio State and the Red River Showdown between Texas and Oklahoma. FOX Sports is also home to the Pac-12 and Big Ten championship games in addition to the San Francisco Bowl and San Diego County Credit Union Holiday Bowl. 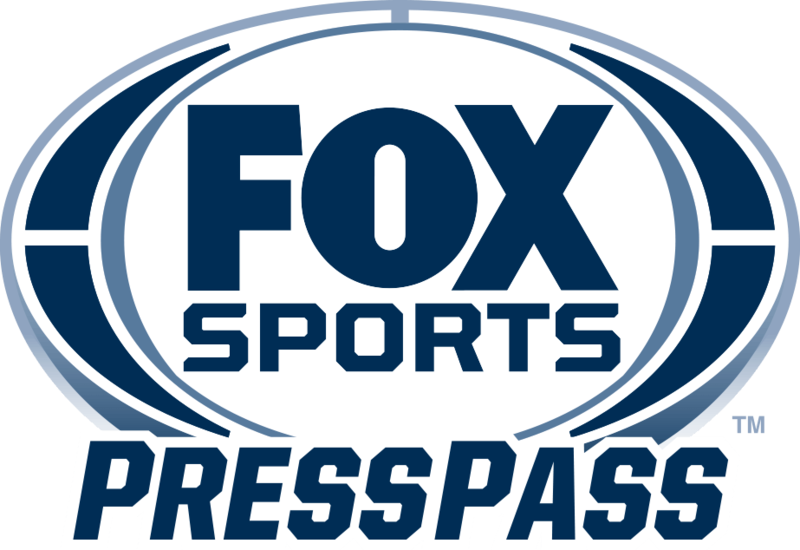 For more information on FOX Sports’ college football coverage, including photos, bios and updated schedules, visit FOX Sports Press Pass.